Miller, Daniel P. “SIREN 2015 Lecture Review: Nuclear Leadership.” Social Epistemology Review and Reply Collective 4, no. 8 (2015): 1-6. The fifth lecture of the Seminar on Interdisciplinary Research and Education in Nuclear Emergency Response (SIREN), “Fukushima: An International Wake-Up Call,” was given by retired U.S. Navy Admiral James O. Ellis in May 2015. 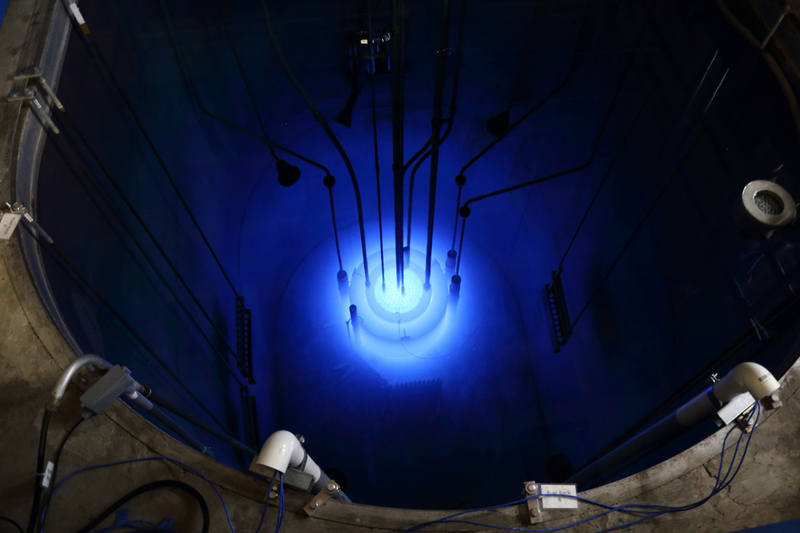 SIREN is sponsored by a National Science Foundation (NSF) CAREER grant that is bringing together international experts on nuclear power plants to consider innovative ways to address nuclear emergencies. SIREN is hosted by Dr. Sonja Schmid of Virginia Tech. Admiral Ellis has an unprecedented level of expertise and experience with large, extraordinarily complex sociotechnical systems and organizations to include being entrusted with America’s nuclear arsenal as Commander, U.S. Strategic Command. In thirty-five years as a naval officer he flew supersonic fighter planes from the decks of ships, was trained as a test pilot, and commanded a nuclear powered aircraft carrier. Being captain of a nuclear carrier not only required being a rated aviator, but also a trained and operationally qualified nuclear reactor officer. Clearly, the Navy entrusts the leadership of its high reliability sociotechnical organizations to only those with intensive training, long experience, real-world mastery of system technologies and, most importantly, tremendous leadership ability. After retiring from the Navy, Admiral Ellis went on to become the CEO of the Institute for Nuclear Power Operations (INPO); an independent organization that promotes excellence in the safety and reliability of U.S. nuclear power plants. Admiral Ellis was leading INPO when the Fukushima Daiichi nuclear disaster occurred in 2011. In 1957 the Shippingport atomic power station in Pennsylvania became the first nuclear plant designed specifically to produce electricity for the commercial market. As a joint public/private venture Shippingport kicked off the nuclear power industry in the U.S. with 237 nuclear plants ordered between 1965 and 1978. Again, a familiar narrative, but as part of this story Admiral Ellis reminded us that the initiation of the commercial nuclear power industry was put underway primarily because the U.S. Navy, with the omnipresent leadership of Admiral Hyman Rickover, pioneered the atomic power reactor concept. “Under way on nuclear power” was the simple message that then Commander Eugene P. Wilkinson sent, as the captain of the atomic submarine USS Nautilus, when it became the first vessel to be propelled by the atom in 1955. This naval technology became the plant at Shippingport and eventually led to the commercialization of nuclear power. The influence of military culture and strong leadership upon the development of safe and reliable nuclear power systems is a recurring theme throughout Admiral Ellis’ lecture. With its inception at Shippingport subsidized with both government funding and technical expertise, nuclear power was brought online in the U.S. private sector. Over two decades passed with hundreds of nuclear power plants being ordered, built or construction started. The commercial nuclear power industry became just that, another for profit customer serving industry with a hugely expensive, complex and hazardous infrastructure. Admiral Ellis then presented the dramatic turning point that changed the nuclear industry; the reactor accident at Three Mile Island (TMI) Pennsylvania in 1979. A partial reactor core meltdown of TMI Unit 2 and release of radiation, caused by loss of coolant due to a stuck-open valve, shocked not only the American public, but the nuclear industry and government regulators. All had perceived that nuclear reactors were “too safe to fail” with state-of-the-art engineering, redundant safety systems and multiple layers of protection, from fuel rod cladding to massive concrete containment structures. No one had imagined that a nuclear accident would be caused by a combination of poor system design, human performance, emergency unpreparedness and lack of information exchange. Admiral Ellis understatedly summed up the post TMI situation by saying, “Clearly a huge impact. It took the bloom off of nuclear energy.” Ninety-seven nuclear plants were cancelled and Ellis pointed out that something was needed “for the survival of the industry.” Nuclear power production had to become something more than an industry. These standards of excellence, according to Admiral Ellis, have contributed significantly to the operational effectiveness of the nuclear industry since INPO’s inception. The Admiral showed that in 1979 the percentage of time that power plants were online and producing electricity averaged 63%; today online time is at 92%. Prior to the TMI accident the industry averaged seven emergency shutdowns per reactor, per year while the average today is zero. Finally, nuclear workers’ exposure to ionizing radiation is one-sixth of what it was in 1979. All of these successes Ellis attributes, in part, to the effectiveness of INPO’s self-regulation. First, Ellis said when he was INPO CEO he only talked to utility company CEOs. While others at INPO obviously worked with the utilities’ nuclear power plant operators, Ellis emphasized that his direct, top level contact ensured unfiltered leader to leader communication. Finally, Ellis says, INPO’s independence allows it to rapidly react and address problems of operational safety. This practical effectiveness is reinforced with an organizational integrity that instills critical trust with both the regulator and the nuclear power plant operators. Looking specifically at the situation at Fukushima Daiichi, Ellis spoke of an apparently flawed risk analysis of plant siting and in areas of system design. For example, historically, the location of Fukushima Daiichi had experienced similar magnitude earthquakes and size of tsunami so a taller seawall might have been constructed. Also, backup electrical switching equipment and generators might have been located on higher ground as these were destroyed by the tsunami. Ellis stated that what the U.S. nuclear industry learned from this was that the Japanese “… considered things in isolation. They considered the tsunami, they considered the earthquake …” but they did not consider these events happening simultaneously and causing the complete destruction of emergency backup systems. Ellis said that INPO took this as both a challenge and an opportunity. A challenge to possibly force movement toward an international response capability for nuclear disasters and an opportunity for the international nuclear community to recognize something said by Abraham Lincoln, “The dogmas of the quiet past are inadequate to the stormy present.” Change was needed. How was the nuclear accident at Fukushima Daiichi a wake-up call to the international nuclear power community as described by Admiral Ellis? Historically, Three Mile Island roused the U.S. nuclear community and forced the creation of INPO to guard against failures with its dedication to excellence of operations. Chernobyl eventually resulted in the formation of WANO that established international assistance for nuclear operators to achieve high levels of safety and reliability. Fukushima Daiichi caused the nuclear industry and INPO to assess its own approach to nuclear safety, with its critical focus on operational safety and accident prevention. It also moved them to include planning for accident response as was evident with the creation of the FLEX strategy and actual staging of emergency equipment. Furthermore, Admiral Ellis has contemplated the concept of the international “NERO” with its emphasis not only on response technologies, but upon establishing organizational and personal relationships prior to any accident. In other words, it’s critical for the people making up response organizations and teams to actually know each other before a crisis occurs. During a disaster is not the time to introduce yourself. In order to safely operate a nuclear power system and to rapidly respond to world nuclear accidents, a transnational culture of professionalism, integrity and unfailing commitment to excellence must be in the fabric of the world’s nuclear sociotechnical system. Admiral Ellis would emphatically say that this cannot be accomplished without strong and sustained leadership. It remains to be seen if organizations such as WANO and INPO can lead the way. Perrow, Charles. Normal Accidents: Living with High-Risk Technologies. Princeton Paperbacks. Princeton, NJ: Princeton University Press, 1999.